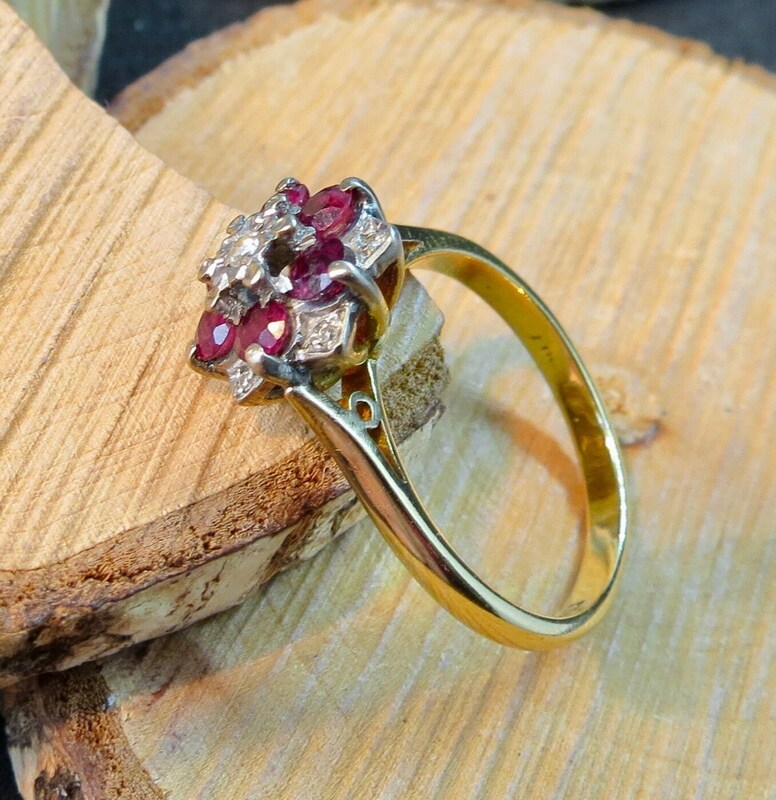 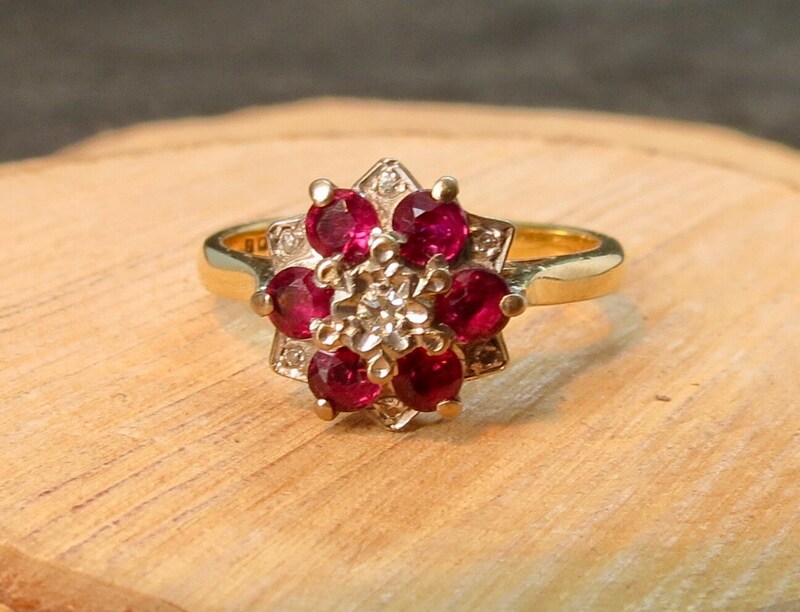 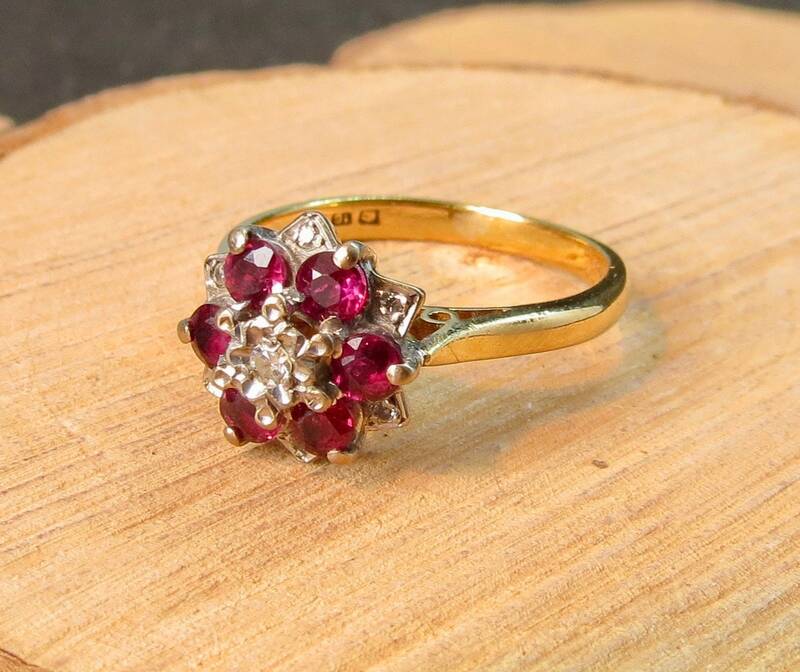 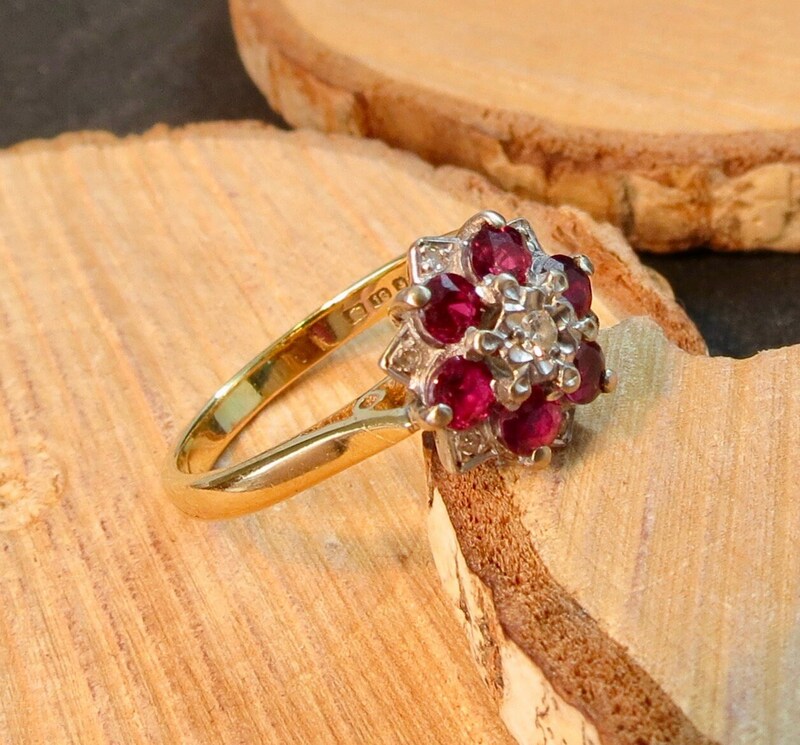 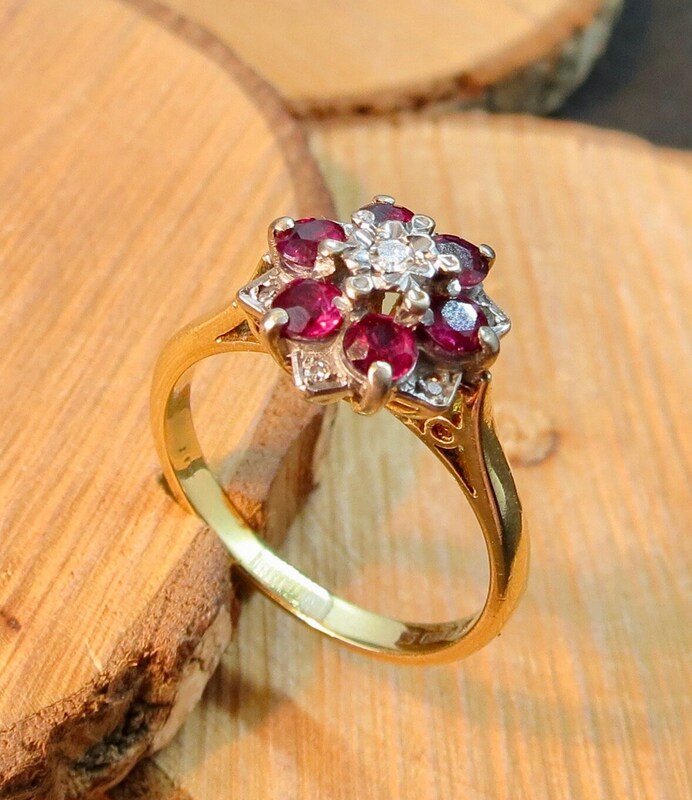 1970's vintage 18K yellow gold ruby and diamond daisy ring. 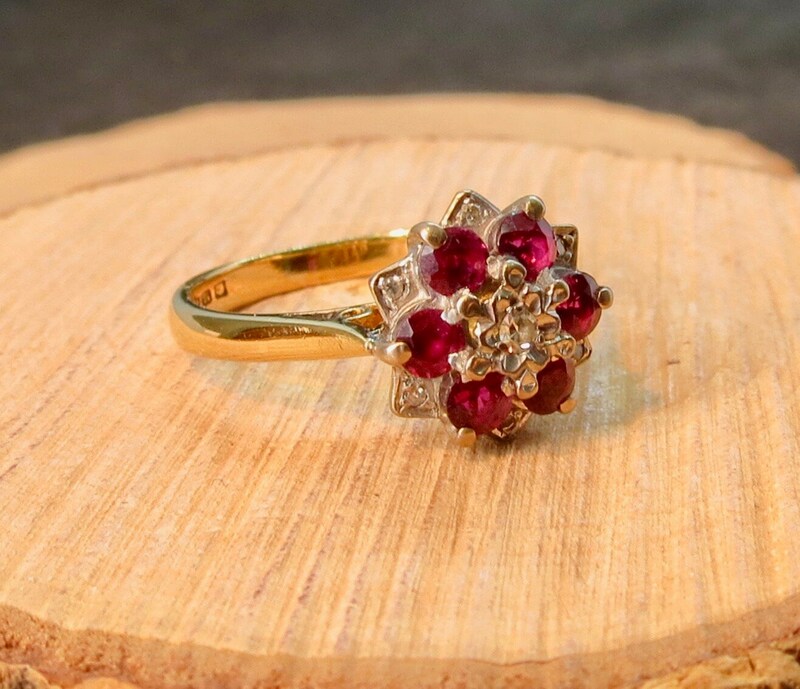 This 18k yellow gold ring has six round cut pinky red rubies, mounted in a daisy arrangement setting with an illusion set diamonds. 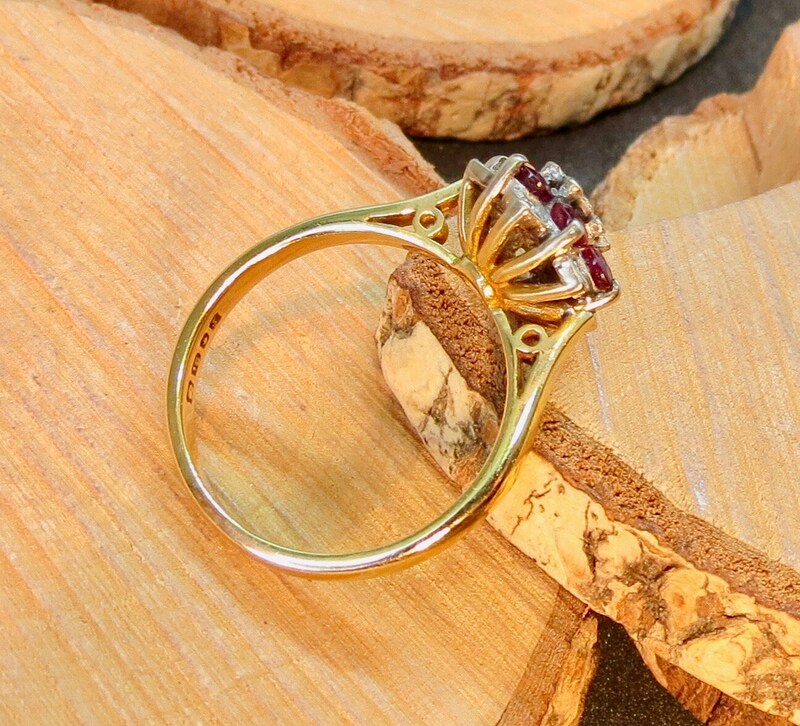 A full gallery and decorative chenier shoulders lead to a plain band. 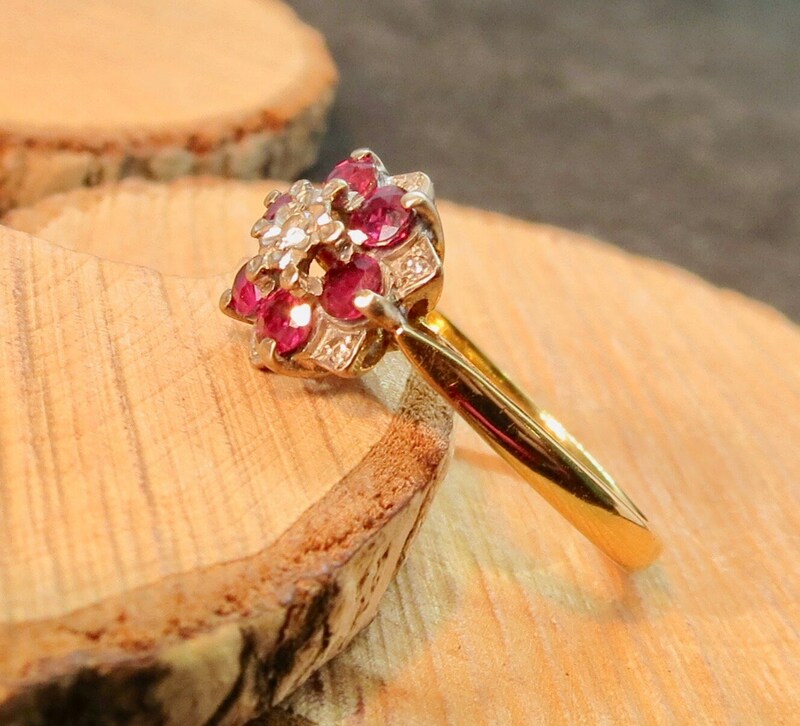 British hallmarks, 18k yellow gold London. 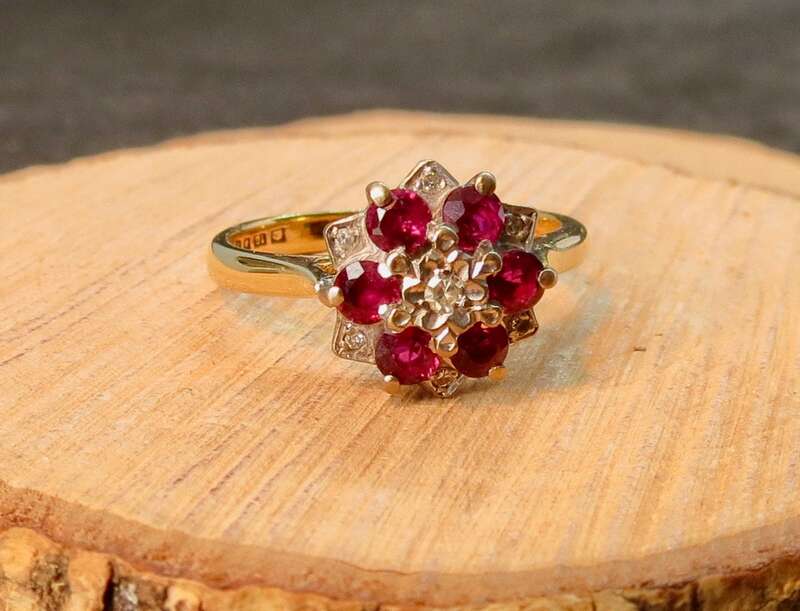 Letter S for 1973.